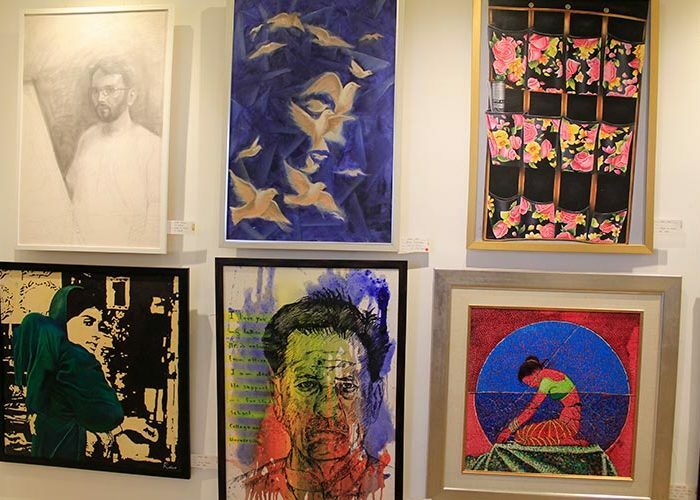 Karachi’s vibrant art scene comes to life in Block 4 Clifton, where a new show opens every week. 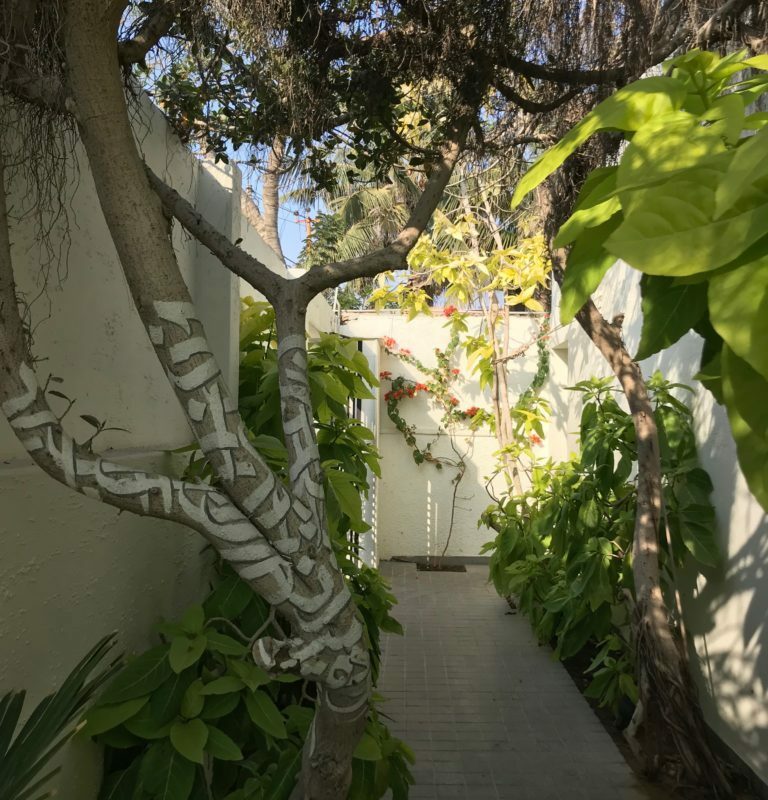 A host of contemporary art galleries have sprouted up, in this ritzy neighborhood. 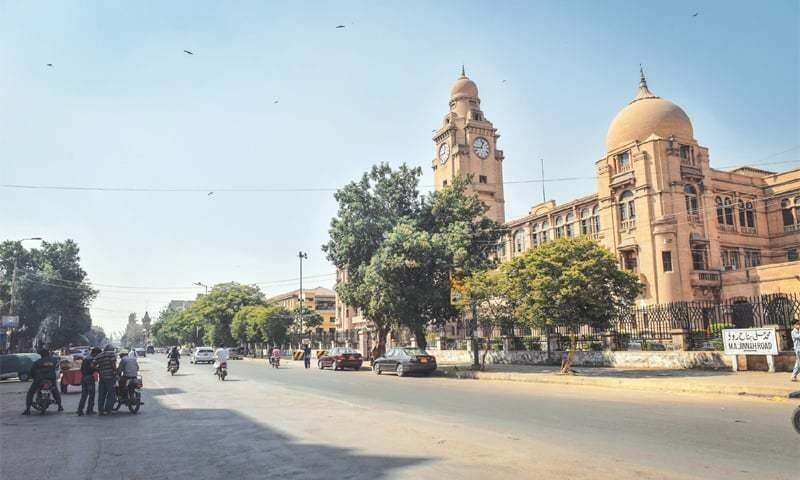 Dotted with cafes, restaurants, spas, hair salons, (and even the Chinese Consulate), Block 4 Clifton looks like most upscale neighborhoods in Karachi. The locale has creeping bougainvillea and concrete barricades (mostly thanks to the Chinese Consulate) at every turn. 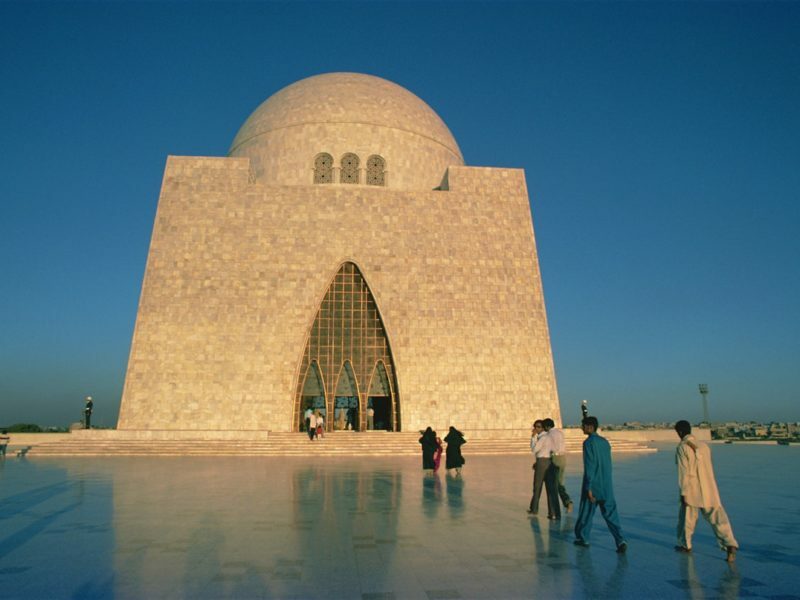 For visitors and locals alike, each gallery provides a unique perspective on Karachi life, through the works of the artists that reside here. 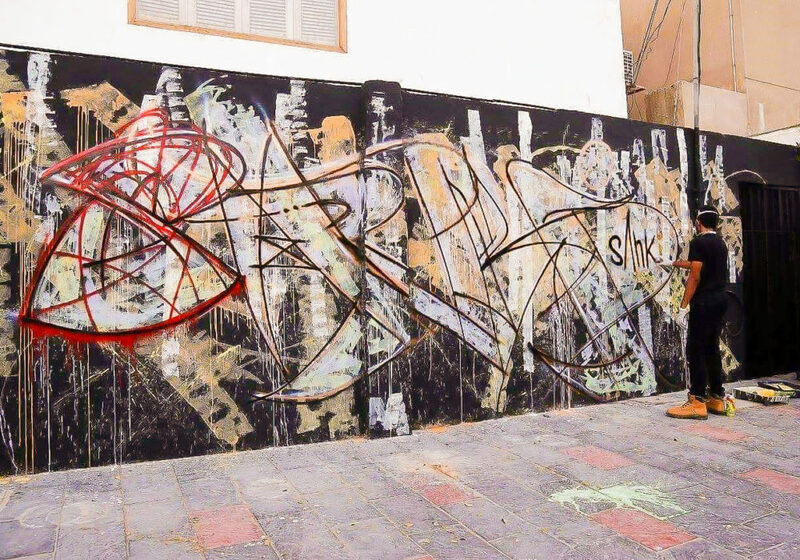 In a city sans a museum of contemporary art, the closely-clustered E-Street galleries give visitors an opportunity to observe a diverse range of Pakistani artists within walking distance. 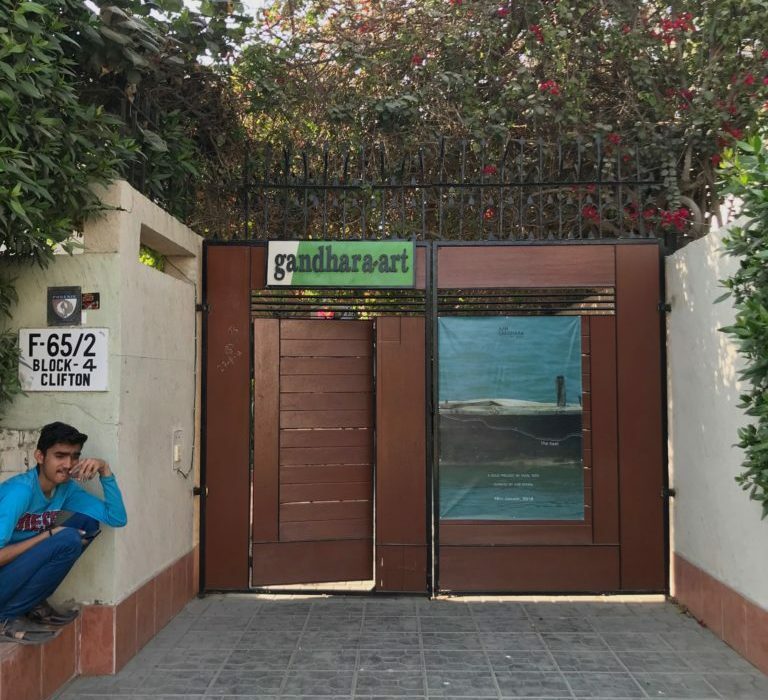 Canvas, Sanat, Gandhara, and KOEL are the more experimental galleries in the neighborhood, taking on a hybrid gallery/art-space/projects/residency approach. 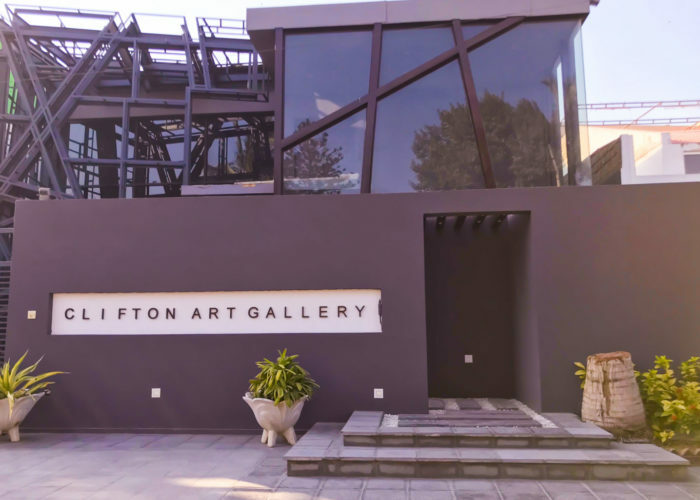 On the other hand, Clifton Art Gallery and Art Scene Gallery, with their extensive collections, cater more to those looking to buy. 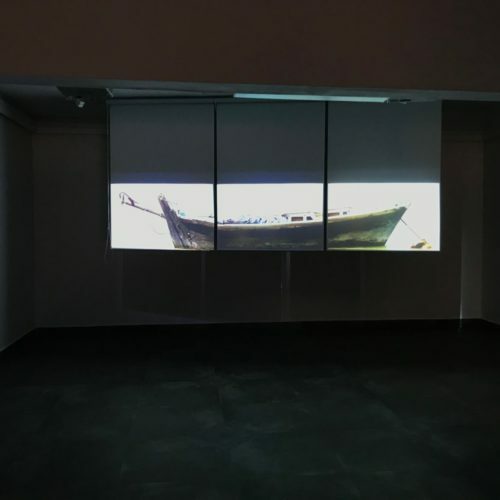 According to the website, “Sanat Initiative aims to explore the relationship between art, artists, and society through active partnerships with curators, galleries, art fairs and museums worldwide.” In February 2018, a group show titled “Reflections” realized this aspect of “exploring relationships” by exhibiting dialogical works by prominent artists and photographers. Along with the works on display, the show also published a catalog that included conversations between selected writers and the artists, proving to be a truly interdisciplinary experiment. 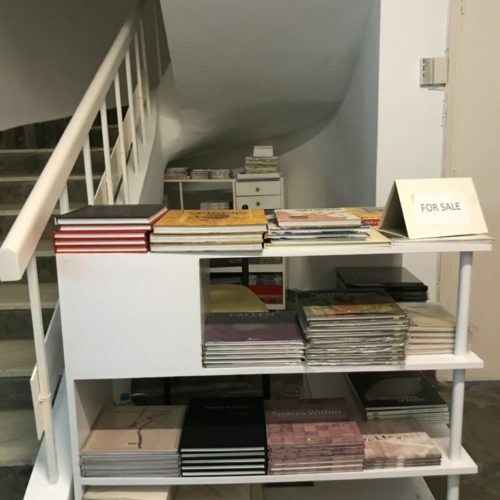 By incorporating publications as an integral part of its exhibitions, Sanat is creating knowledge, documenting contemporary art practices, and engaging with critics – heralding art criticism as a key part of the art ecosystem. Canvas Gallery was founded in 1999 by Sameera Raja, an architect from the National College of Arts batch of 1991. The gallery is well regarded for curating group shows with works that are in constant conversation with one another. They capture certain common themes or practices and then tie them up with Pakistan’s contemporary art world. Their website states its aim of presenting cutting-edge work by artists from across the country. 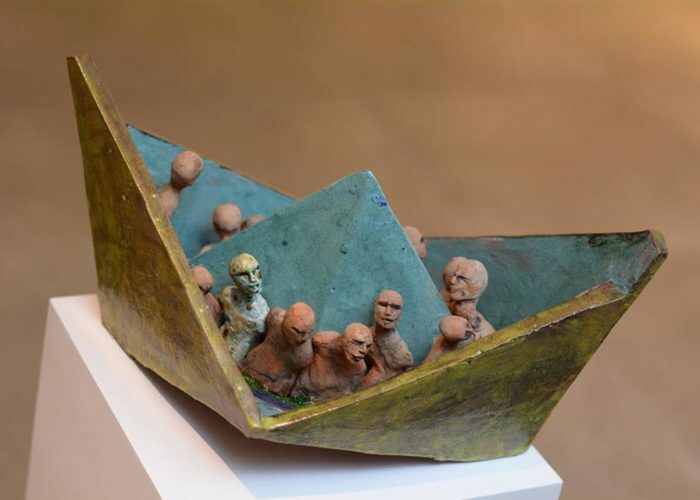 In January 2018, the gallery exhibited young and upcoming artists in a group show titled “Seeing and Being Seen.” Featured artists included Ahsan Javaid, Arslan Farooqui, Ehsan Memon, and Hamid Ali Hanbhi. 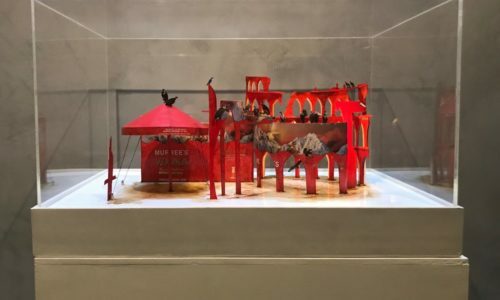 In February 2018, Canvas opened the exhibition “Spirits” by Masooma Syed, with delicate handcrafted mixed media creations, that resembled theatre set design models. From the moment you walk in, through its intricately carved door and under its green canopy, KOEL, offers respite from Karachi’s blistering heat. It provides the perfect setting for creative musing while sipping on some refreshing shikanjabeen(lemonade). KOEL Gallery is located at KOEL, which was first established as a furniture and apparel studio by Noorjehan Bilgrami in 1977. 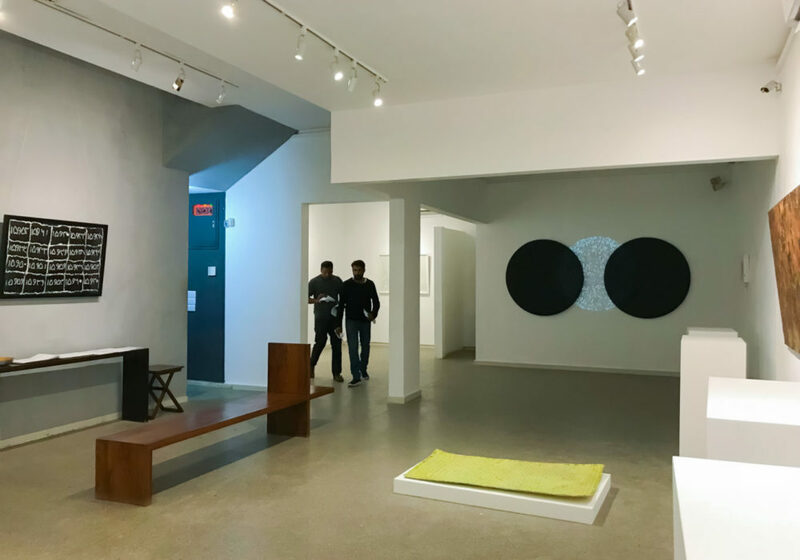 In 2009, an advisory group consisting of renowned architect Habib Fida Ali along with Arshad Faruqi, Amean J, and Ussman Ghauri sat under KOEL’s mythicized Champa tree and dreamt up Koel Gallery, with the mission statement “To bridge the divide between the arts and crafts.” Koel designated a space for exhibitions, both for the visual arts and the crafts, where artists, designers, and craftsmen would share a common platform. The Gandhara Art Space is must visit exhibition site for its experimental, interdisciplinary shows. 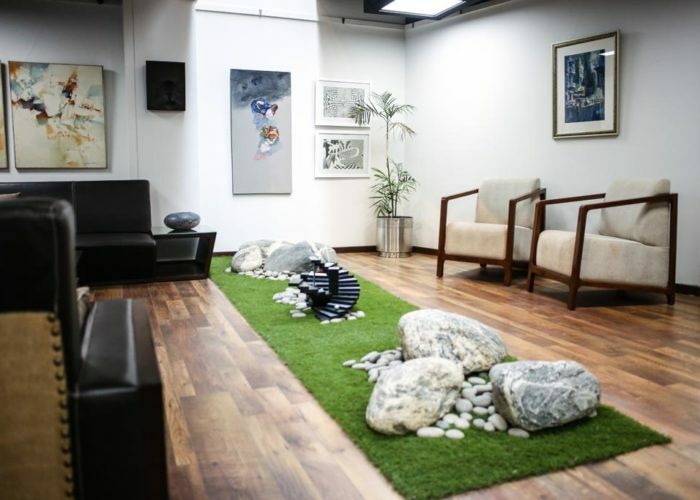 Described as a curatorial and art publishing organization engaged in showcasing Pakistani Modern and Contemporary Art, Gandhara also runs an exhibition program in Hong Kong. 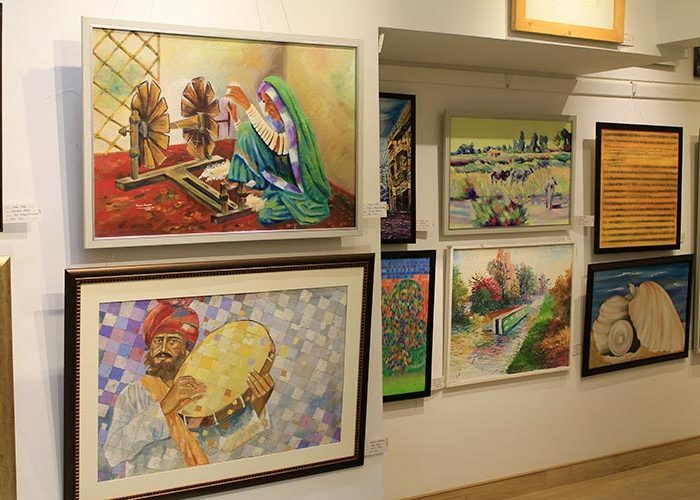 Clifton Art Gallery opened in 1991 and is well regarded by buyers for its extensive collection of paintings by eminent Pakistani artists including Sadequain, Bashir Mirza, and Colin David. 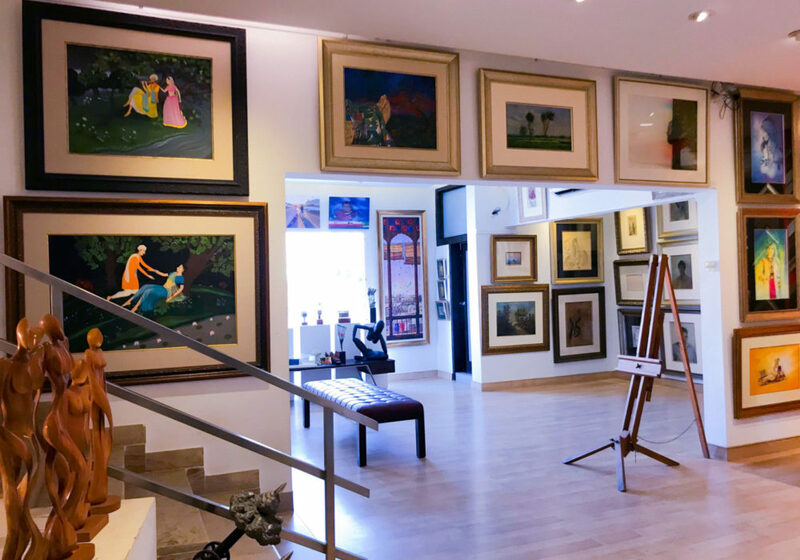 Mohammad Rizwan Zakai, the director of Clifton Art Gallery remarks that art students in Karachi often visit the gallery to study the works of legendary Pakistani artists. He welcomes these visits, the commercial gallery is in this way fulfilling the role of an art museum. The gallery’s new E Street location was completed in 2014 and its modernist façade designed by architecture firm Mesotects intrigues the passerby to pay a visit. The gallery hosts an exhibition every month and boasts a collection of over a thousand works. Recent exhibitions include works by Talat Dabir, Fauzia Khan, Nahid Raza, Tassaduq Sohail, and Mariam Saeedullah. The gallery hosts two shows a month and has a collection of over 2000 works by over a hundred artists. Their collection includes works by A.R. Nagori, Saeed Akhtar, and Zahoor Ul Akhlaq. 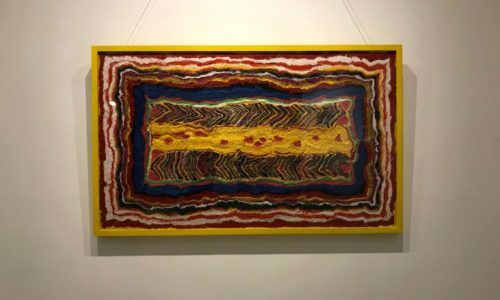 The gallery is also committed to supporting young artists and exhibits work by recent graduates from the Karachi School of Arts, Jamshoro University, and the National College of Arts. Recent exhibitions include works by Salman Farooqi, Chitra Pritam, Seemab Tariq, and Hussain Chandio. There is a framing shop located on the second floor of the gallery for those looking for fine framing in Karachi. The Studio Seven Gallery is housed in Studio Seven, a collaborative studio where artists, architects, designers, and curators come together under one roof. 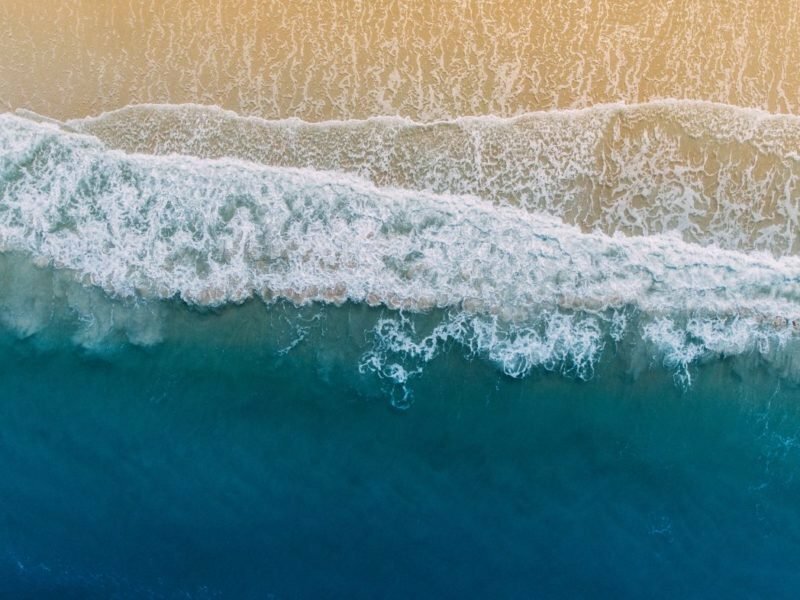 The Gallery’s aim is to introduce diverse art practices, as well as to introduce the work of young artists and celebrate the work of established artists. 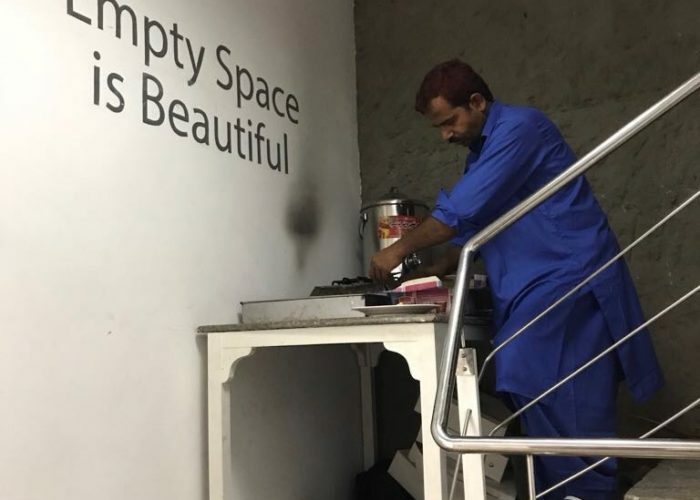 Mr. Iftikhar Chohan, who graduated with a degree in design from the Indus Valley School of Art and Architecture in Karachi in 2003, founded the gallery in 2016.